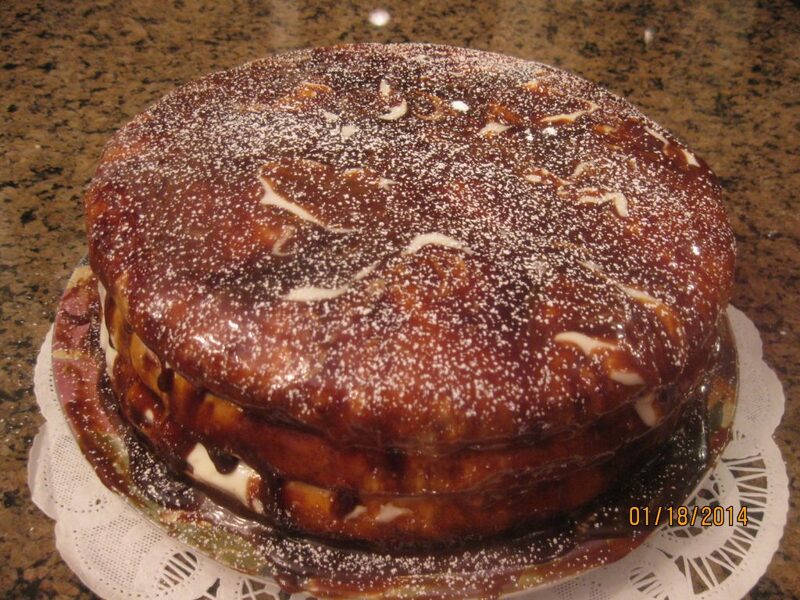 This cake is made of two or three layers, where the middle layer is brown, with the help of cocoa powder. 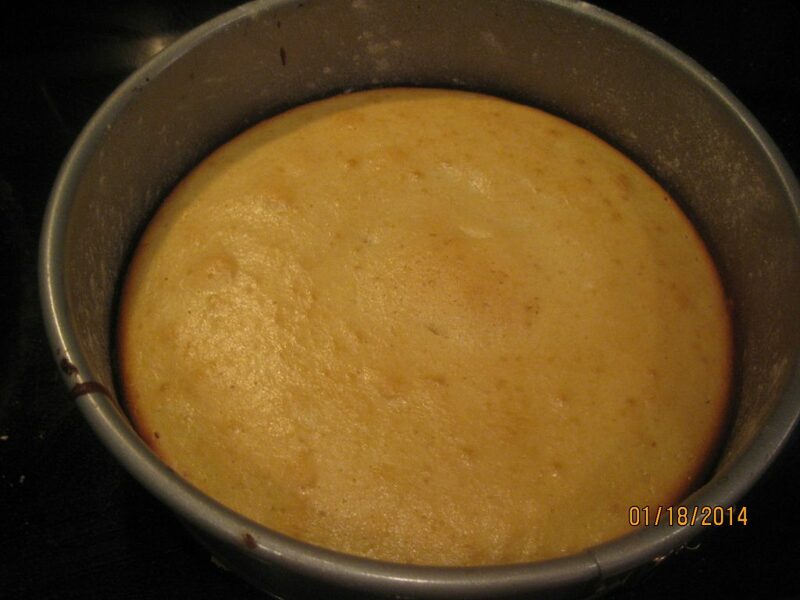 The sour cream is used for the batter and for the frosting as well. You will be surprised how good it will turn out. 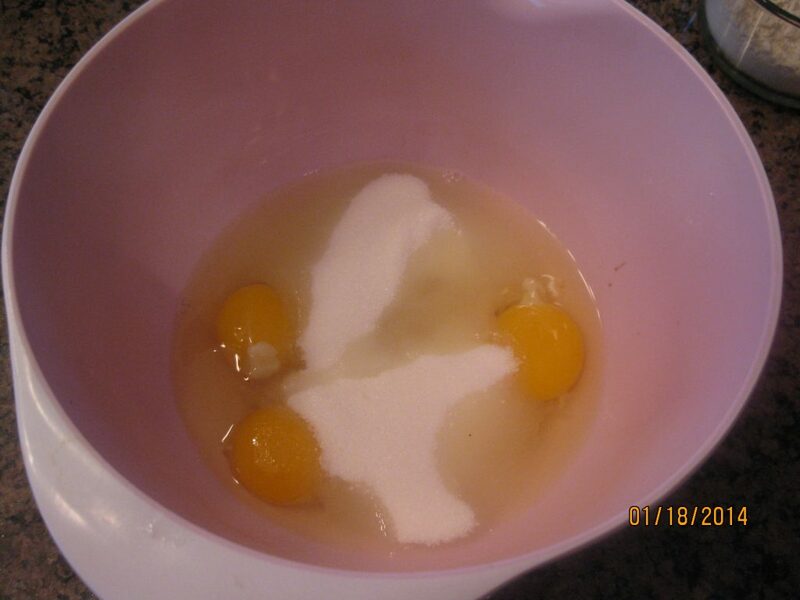 In a bigger bowl whist eggs with sugar well. 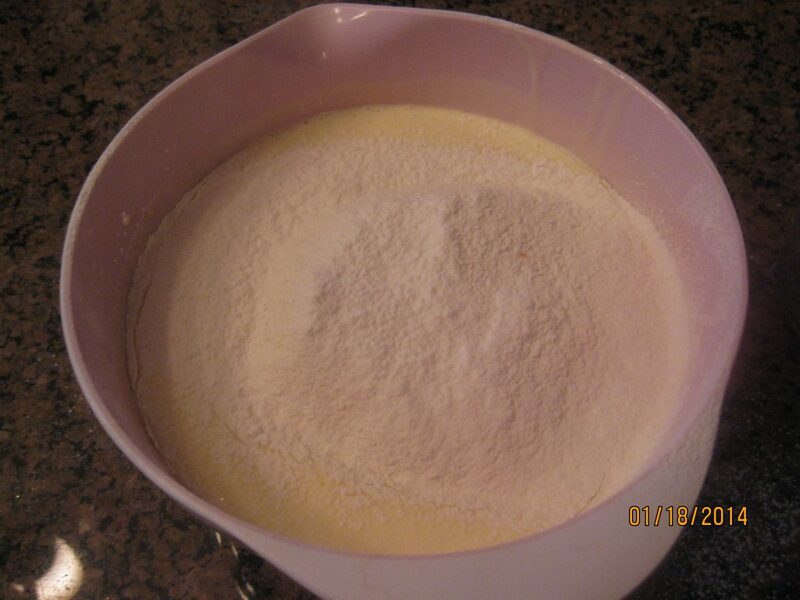 Mix flour with baking powder and add it to the mixture. 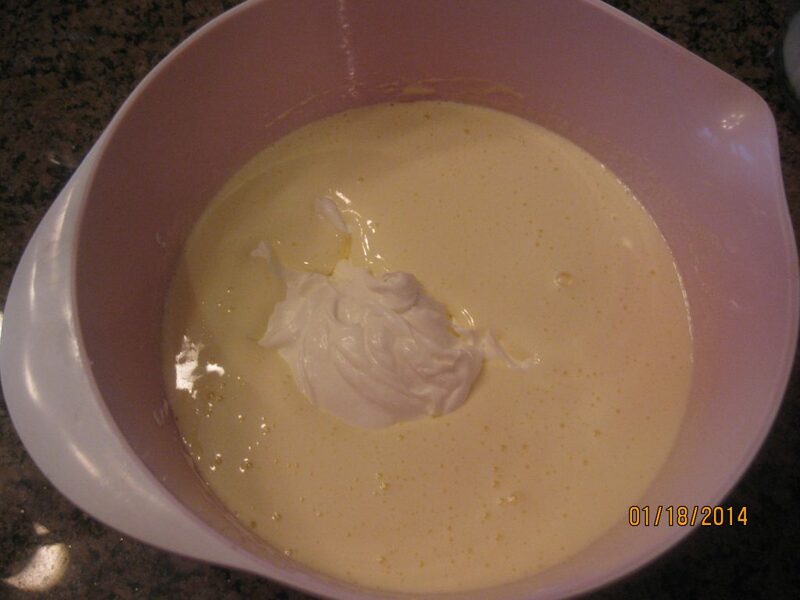 Then divide batter into three equal portions. 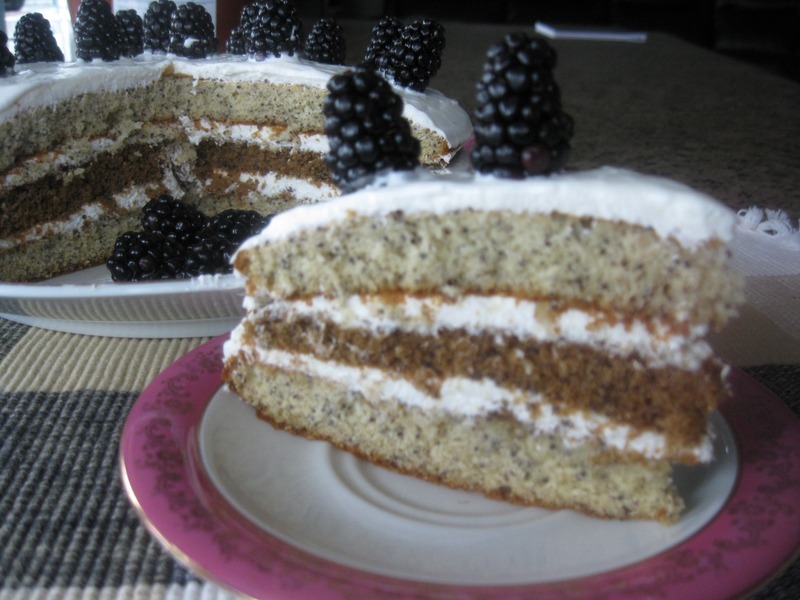 Add poppy seeds into two portions and whisk it well. 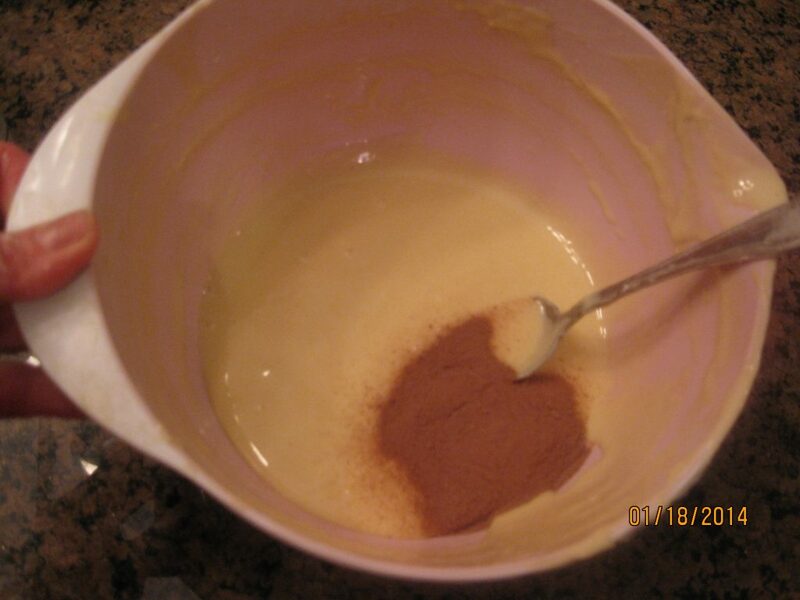 In the third portion add cocoa powder and mix it. 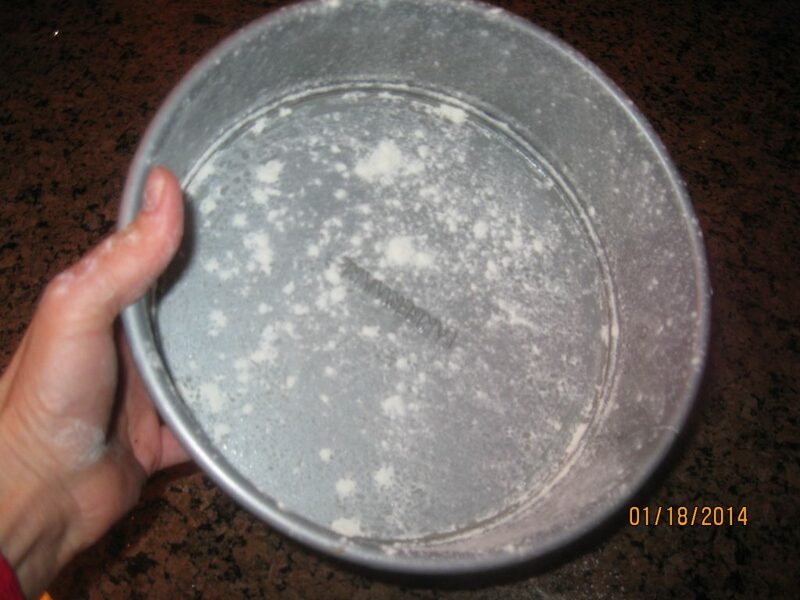 Prepare the 9 inch round spring form: grease it with butter and sprinkle with flour. 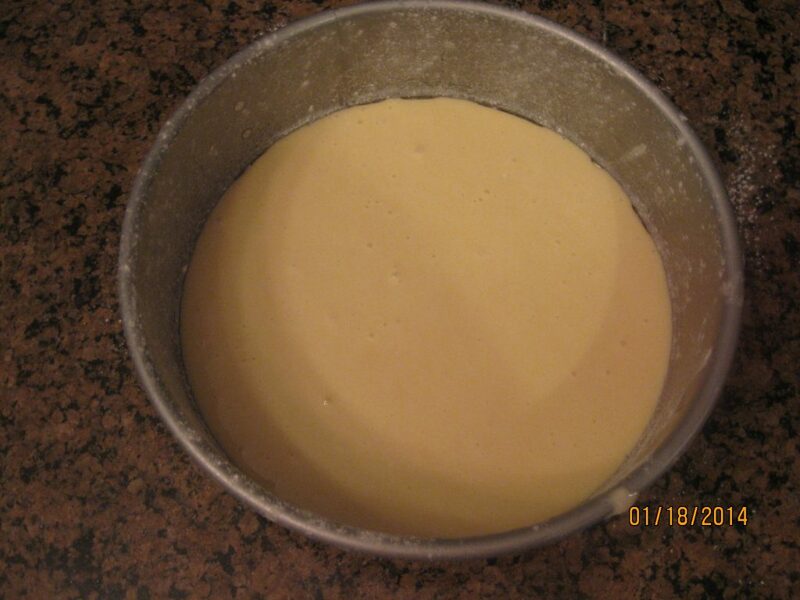 Bake each portion of batter in the oven at 350F for 15 minutes. While the cake layers are baking, lets make the frosting. 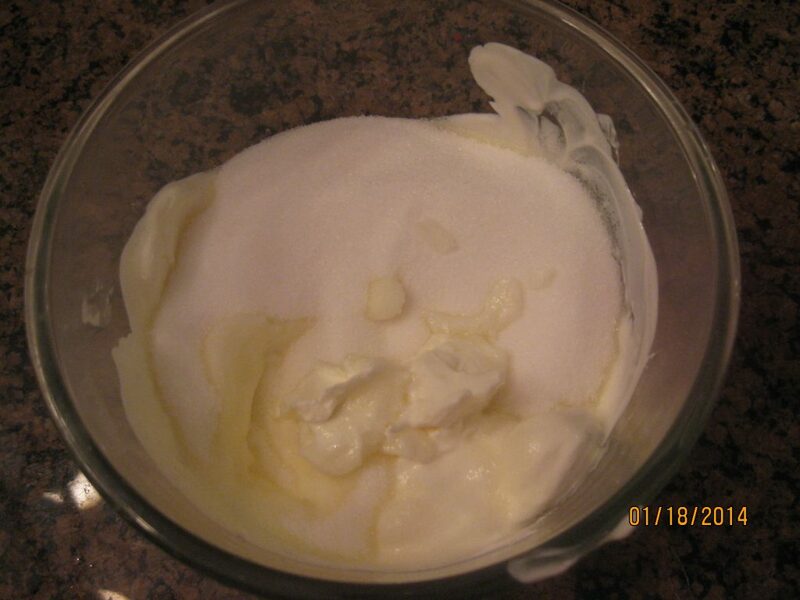 In clean dry bowl combine sour cream with powdered sugar and mix well. 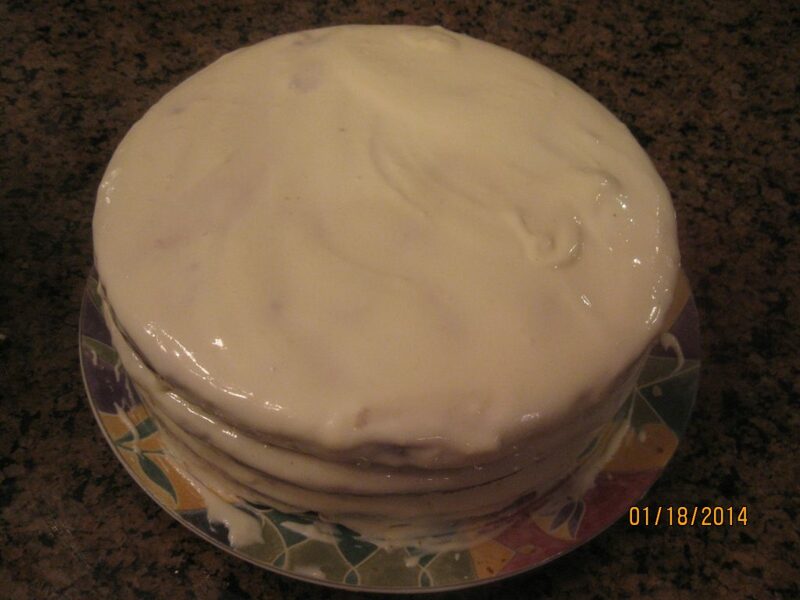 Spread the frosting over each layer of the cake, arranging them one on the top of the other. The brown layer goes in the middle. 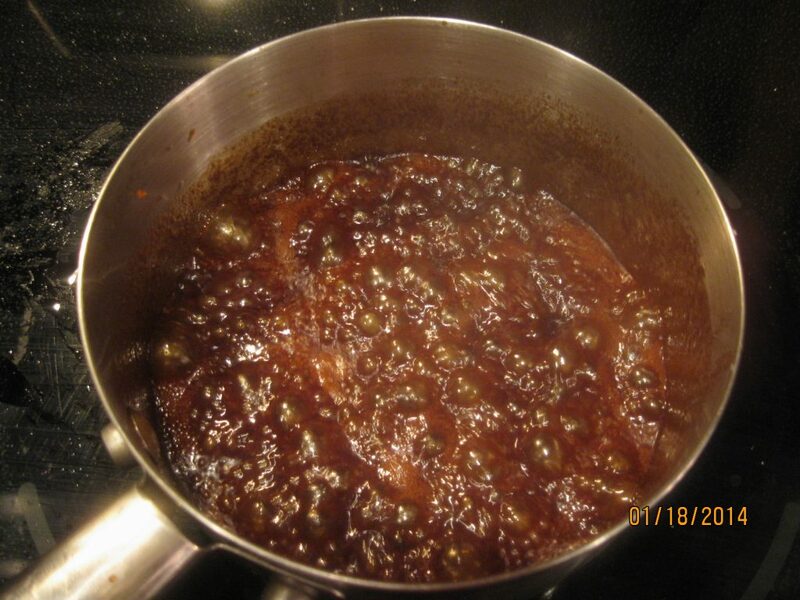 Melt the butter in the little pan on lower heat, add milk, mix in sugar and cocoa powder. Bring to a boil on slow simmering, constantly stirring. Cook until thickened. 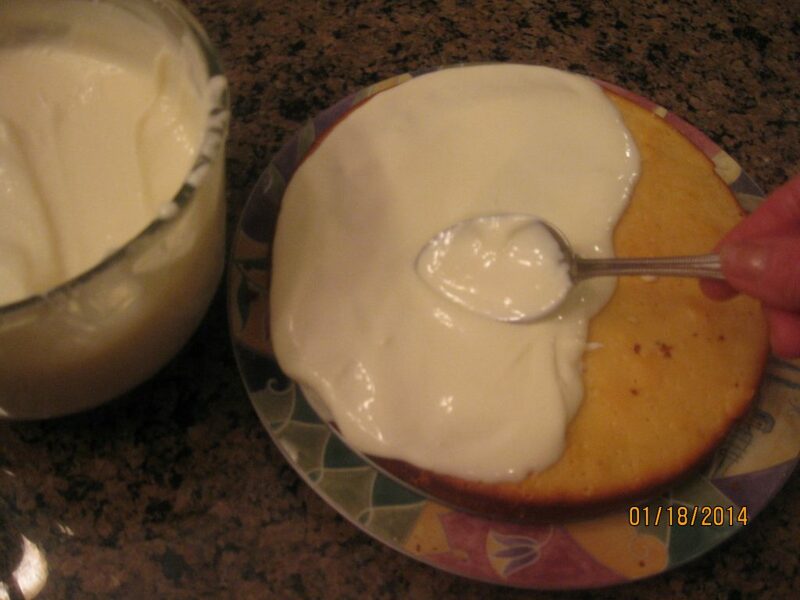 While the glaze is still hot, pour it over the cake to cover it all around. Enjoy it with your favorite tea or coffee.